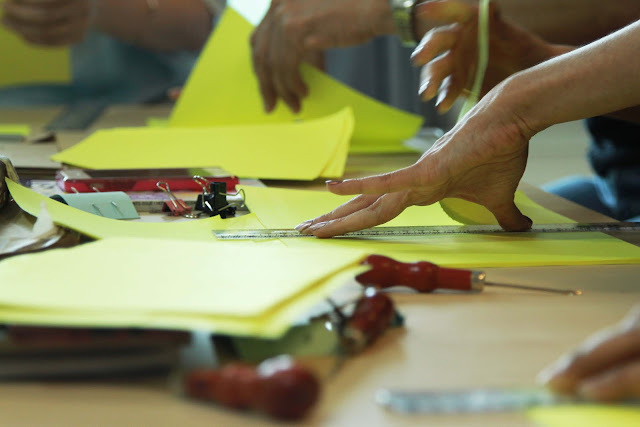 Whenever creative people gather, the energy in the room changes. It becomes warm, almost sweet-like, and for a moment there the only feeling you recognize is just pure bliss. Imagine yourself, in a naturally lit room-full of like minded souls, laughing and crafting together with the sounds of bossa nova jazz; talking about it makes me want to be part of that! 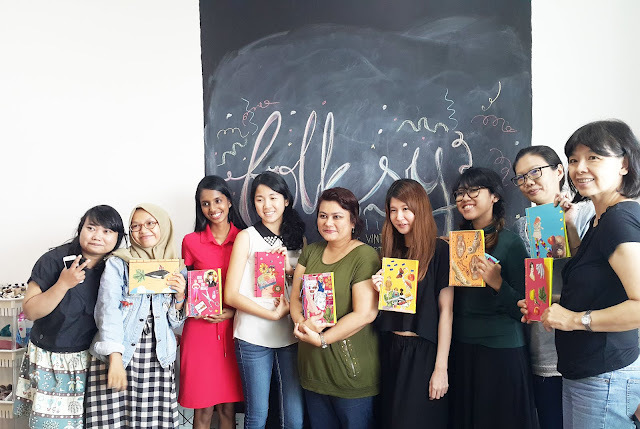 Last year in December, we greeted Folksy magazine and their very young and hip editorial team who flew all the way from Yogyakarta, Indonesia to conduct a collage book binding workshop with our local community. 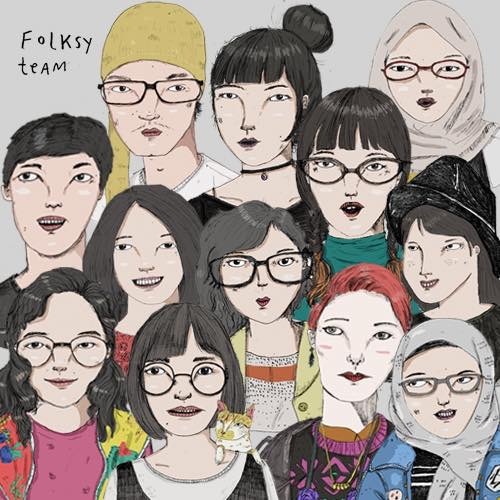 Folksy: an indie magazine from Yogyakarta, Indonesia that explores creativity, handmade movement and creative business for youth. 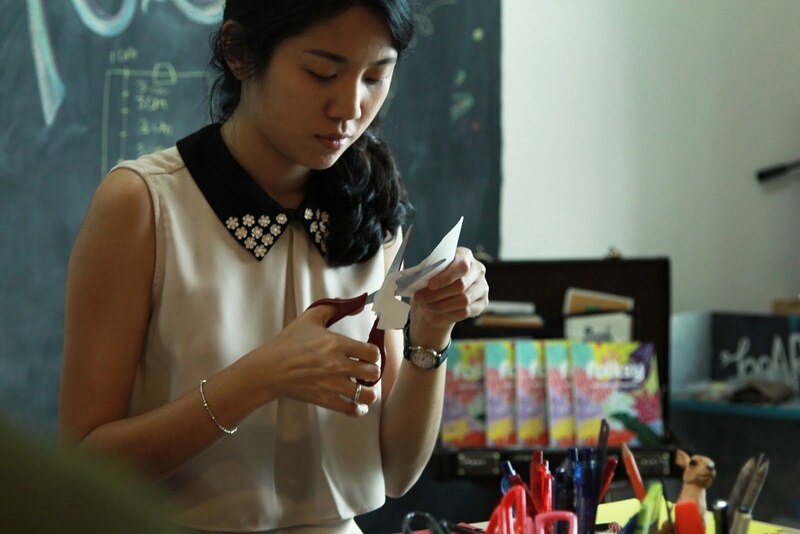 Folksy also conducts handmade workshops in Indonesia too. Two months before we met, Lucia Berta and I were corresponding via email about Folksy's team trip to Malaysia to reach out to our local community. 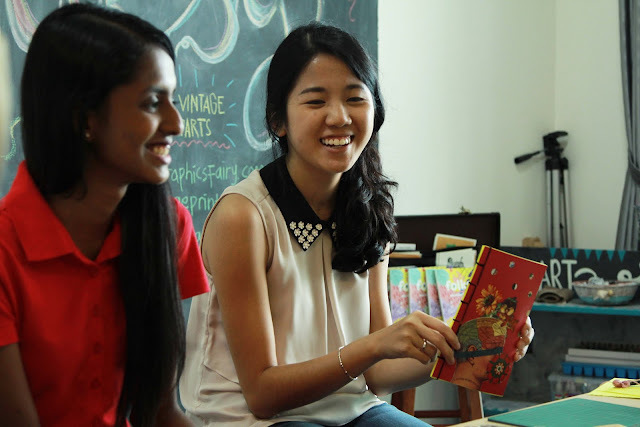 That little conversation went on to the idea of bring Folksy's handmade workshops to Malaysians. 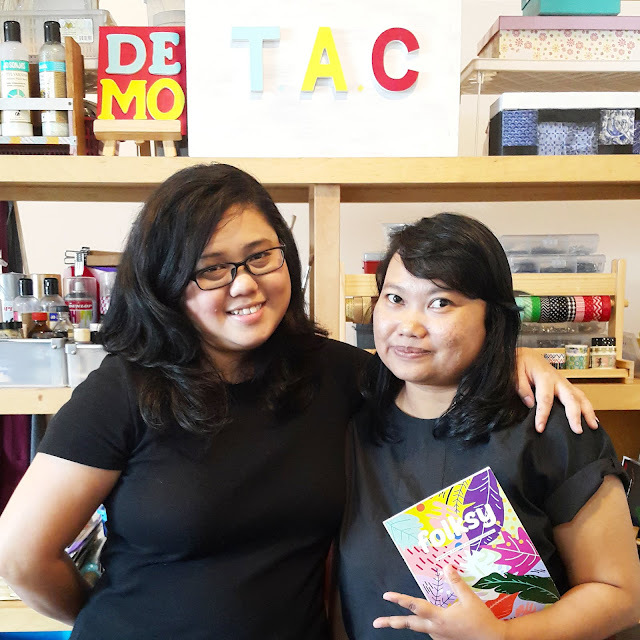 Very quickly, dates were set in, pictures and posters were released and next thing you know, team Folksy finally arrived at our studio for the collage book binding workshop! 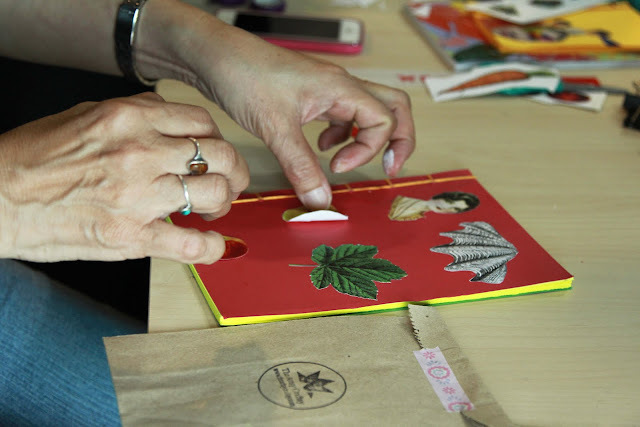 Ache, Folksy's art director is a passionate collage artist, whom I must say, able to magically turned any cut out pictures and cardboard boxes into crafty looking books with quirky images on it! We may have hosted the workshop, but Ache and her team led a very fun crafternoon! Book binding and collage may not be a newfound art, but it is amazing how the experience that came with it has made it new. Bright coloured papers everywhere while everyone carefully selected images to design their own one-of-a-kind whimsical book covers. At the end of the workshop, we added something extra. 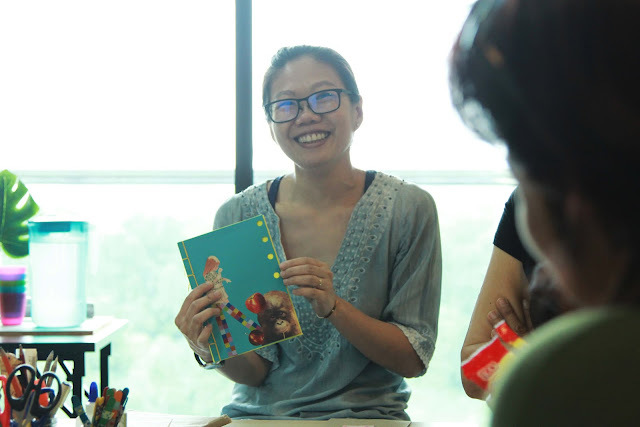 Each participant was asked to share a little story about their collage design just for fun! The day finally came to an end, and while I bid the bubbly team goodbye, we exchanged hugs and hopes that we will see each other soon again sometime.